My name is Ally and my son (being worn) is 19 month old Eli. My daughter, Elsie, is 3 years old and is with us. We are in the Safeway parking lot and I snapped a quick pic as I he and I were both so happy to be close again after me being gone for a long weekend away from the kids. 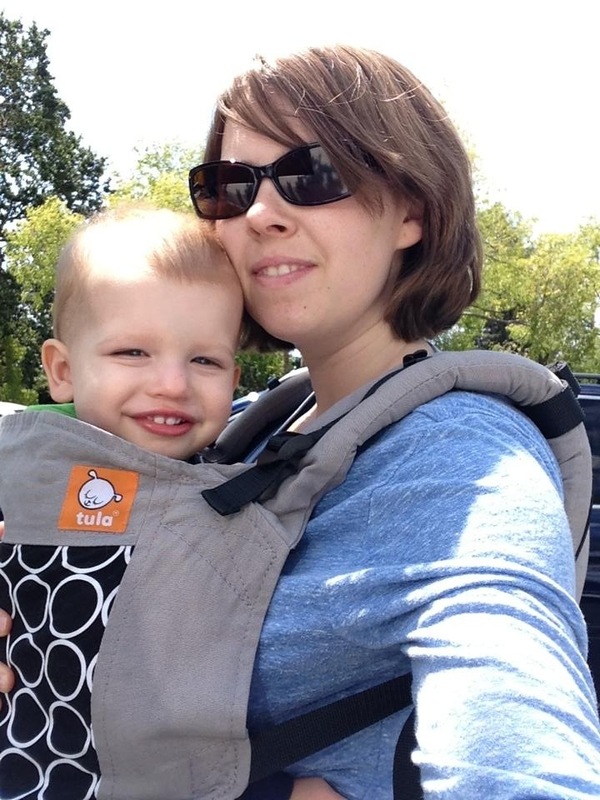 I am using a Toddler Tula that I love! August 6th 2013 in the morning. Babywearing is essential for me when I grocery shop with my two kids. My 3 year old either rides in the cart seat area or walks. However, the few times I have tried to have him ride in the cart were a disaster! Trying to stand up, grabbing stuff, lunging forward, being fussy and wanting to be carried or wanting to walk (which means running down the aisles with glee!). I am so happy I can wear him comfortably and enjoy shopping, even if it is just for groceries.